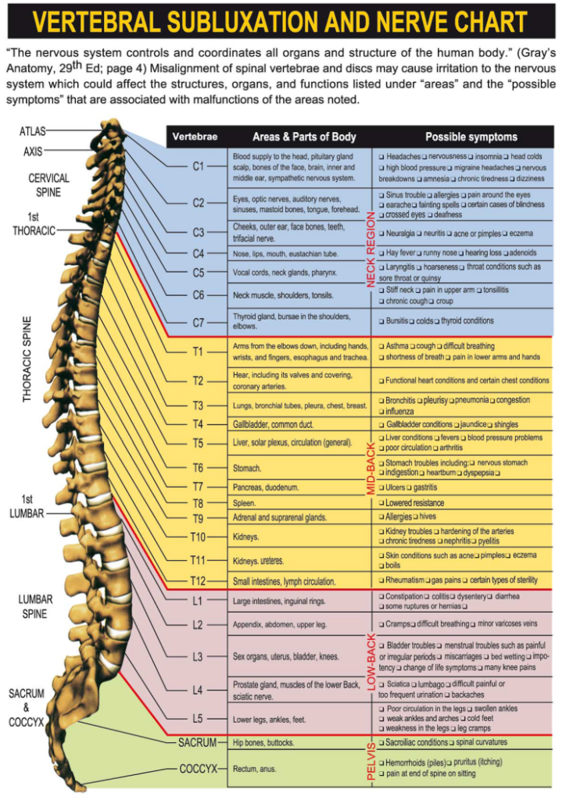 This chart shows how your spine affects your body and how it functions. Chiropractic is a natural form of health care that uses spinal adjustments to correct these misalignments and restore proper function to the nervous system, helping your body to heal naturally. Chiropractic doesn’t use drugs or surgery. Rather, a chiropractic spinal adjustment—the application of a precise force to a specific part of the spinal segment—corrects the misalignment, permitting normal nerve transmission and assisting your body to recuperate on its own.